Announcement I appreciate you stopping by the shop! Currently, I'm having a Spring Fling! 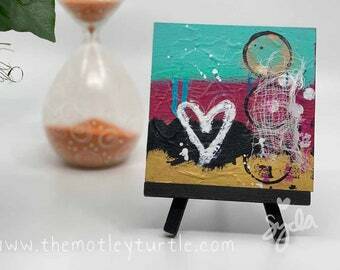 All original art is 20% off! Domestic Shipping is included on original, unframed art on paper too! I appreciate you stopping by the shop! Currently, I'm having a Spring Fling! All original art is 20% off! Domestic Shipping is included on original, unframed art on paper too! 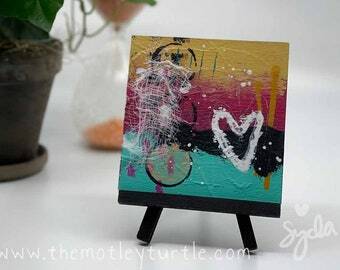 Individual Mixed Media Print Postcard; Choose design from Set Two; Select buying option; 5"x7"
Acrylic & Ink Abstract on Paper; 5" x 5"
Make Art Portable: Handmade Art Journal, 5" x 7.5"
Life is a Beautiful Mess Art Journal; 7.25 in. x 10.25 in. Life is messy. Art heals. Mistaeks are mandatory. 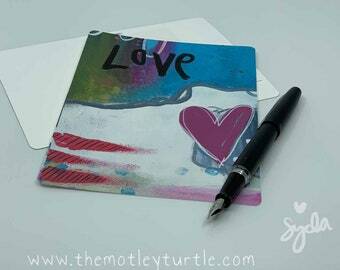 When I ventured into the world of art and mixed media I realized I was trying to make everything perfect. But, perfect doesn't exist and over time I have learned that I am not drawn to perfect. I am drawn to messy, healing, raw art. I remembered that as children we are often ridiculed or punished for making mistaeks. So often we second guess ourselves because we're afraid of making mistaeks. Hence, the tagline Mistaeks are Mandatory. They are. We must feel free enough to experiment and make mistaeks. They are the lessons. They are the makers of our being. Life is messy. Art heals. Making art helps me to cope with my depression and anxiety. Making art helps me to find peace and joy. The under layers of virtually all of my art are filled with self-doubt, angst, worry and imbalance. I step back for a moment and fill the piece with affirmations. From there I am able to find my joy. 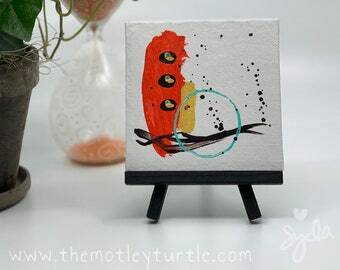 I opened The Motley Turtle Shop to share my experiments, my mistaeks, my journey to healing. I hope you find something that reminds you to mess up, make mistaeks, explore, experiment and heal. Syda is an anxious, introverted, coffee addicted night owl living in Northern California. Her motto: Life is messy. Art heals. Mistaeks are mandatory. Add color +stir. Welcome! 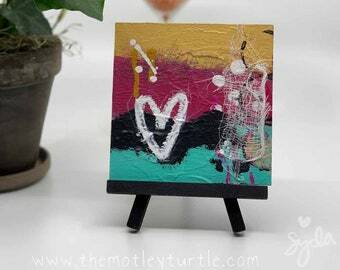 Thank you for visiting Motley Turtle Arts!! Here the motto is: Mistakes are Mandatory! I know that I make lots of 'em...how 'bout you? Mistaeks are magical and full of possibility...and mandatory. I am happy to replace items damaged during shipping. Requests for replacement item(s) should be submitted within 48 hours of receipt by emailing: syda [!at] themotleyturtle.com.